Don’t let New Year’s resolutions overwhelm you. It’s OK to have a lofty goal if you have a little bit of organization surrounding it. Just saying you’re going to eat better will result in a plate of French fries for lunch by mid-January. Instead, make a plan and break down your resolutions so that you set yourself up for success. • Develop a weekly calendar to help plan meals and snacks a week in advance. Put that calendar in an easily viewable area so you can hold yourself accountable. • Don’t keep fattening foods in your house or your office. • Subscribe to the 3-bite rule. If you crave something fattening, allow yourself 3 bites. • Think about what you eat over a period of a week. • Determine what credentials you would need, and figure out how you can obtain them. • Ask all of your friends to critique your resume. • Be open to opportunities within your current place of employment. A lateral move within the company may broaden your experience enough to land a better job outside the company. • Take advantage of any networking opportunities that arise. • Keep a folder or spreadsheet with all of the jobs you’ve applied to. There are a lot of job search engines; you don’t want to apply to things twice. • Build exercise into your daily routine. • Enlist a friend to exercise with you. You’ll motivate each other, and you’ll have more fun. • Keep a food log. Know what foods and what times of the day are trigger points for undisciplined eating. Once you can identify the triggers, you can plan ahead to avoid them. • Jot down every penny you spend for a week, so you can see how much you really spend. • Only pay in cash. • Before buying anything, invoke the 24-hour rule. If your desire hasn’t waned by then, you know it’s not just an impulse buy. • Bring your lunch to work and limit meals at restaurants. • Make a budget, and stick to it. • Do the area that’s most distasteful first. Otherwise, you’ll find that you keep putting it off. 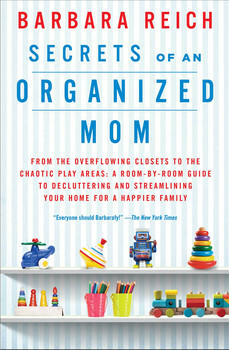 • Start small; organize a drawer, your refrigerator, or a bookshelf. Once you have some momentum, you’ll be inspired to move on to a closet, a room, and then the entire house. • Store like with like, and designate a place for everything. Light bulbs go with light bulbs; black sweaters go with black sweaters, and magic markers go with magic markers. • Ignore sunk costs. The original price of an item is not nearly as relevant as whether you use it, will ever use it, and how much space it occupies in your home and your mind. • Use one kind of hanger and storage container. It doesn’t matter what kind of hanger you choose or what kind of storage container. The important thing is that there’s uniformity. This eliminates “visual noise” and creates a calm interior.